Ambition is the first step to success, the second is action. FiveThree7 provides expert recruitment services in filling permanent and interim senior level positions across a wide range of sectors throughout the UK and internationally. 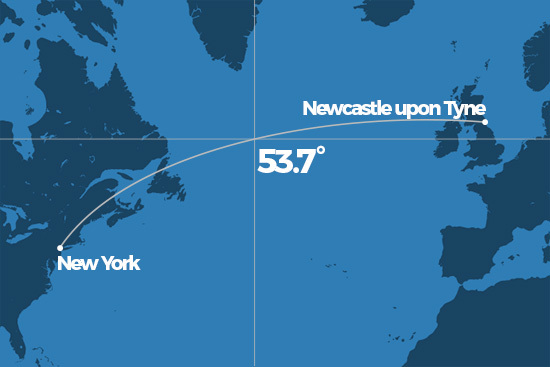 The name FiveThree7 represents 53.7 degrees, the line of latitude which is the global mid-point between our two offices, New York and Newcastle. This name places emphasis on our global presence and trans-Atlantic approach. The strapline ‘globally connecting business and talent’ highlights our international reach as well as our elite nature, working with talented people and leading businesses. Our service is centred on an entrepreneurial and ethical approach to recruitment, and a dedication to attracting and supporting the best candidates. As experts within the sales recruitment sector we work with candidates ranging from graduates to high-level professionals, and companies – ranging from SMEs to blue chip and FTSE listed companies – in a wide variety of industries. At FiveThree7 we pride ourselves on offering a first-class recruitment solution, this includes: fully understanding the situations and aspirations of both candidates and recruiters, providing our recruitment experts with the highest standard of training and monitoring all calls to ensure a consistent high-quality service to both clients and candidates. We work with clients and candidates in permanent positions. Our service is centred on an entrepreneurial and ethical approach to recruitment and a dedication to attracting and supporting the best candidates. FiveThree7 is set to be a global company, growing organically from one office in Newcastle, to locations worldwide. We encourage anyone with the desire to progress and develop to be a part of our company. Our values make us stand out from the crowd, and it is through employees living and breathing our values that FiveThree7 will achieve and maintain a best in class status.